Through the SHSU Common Reader program, all interested SHSU students are provided with the annually selected book and faculty participate in curriculum development workshops to expand the reach of common intellectual experiences. First-year students receive their copy as a summer reading assignment during orientation sessions. Faculty and staff develop and present scholarly dialogues about complex subjects through coursework and through co-curricular scholarships and events at the biannual Author’s Forum. Students experience a common campus-wide cross-disciplinary conversation designed to enhance critical thinking about complex subjects. 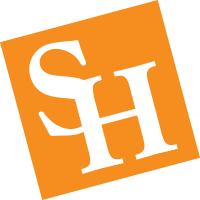 The mission of the SHSU Common Reading Program is to create a shared academic/intellectual experience, facilitate a campus-wide cross-disciplinary conversation, and enhance the community with students, faculty, and staff. For more information on the SHSU Common Reading Program, contact Kay Angrove at 936.294.3422 or kangrove@shsu.edu. NOTE: Events open to Sam Houston State University students, faculty, staff, and alumni. You must present your active Bearkat OneCard to attend these events.